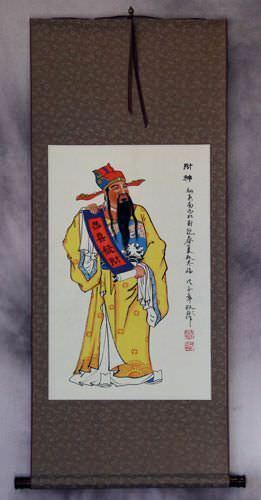 Silk/Brocade: 60.7cm x 153.5cm ≈ 23¾" x 60½"
This guy is sometimes called the "Lord of Happiness". 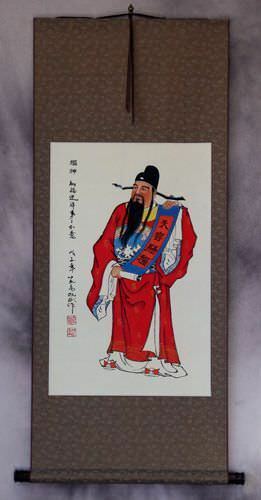 He looks like a traditional Chinese feudal lord with his red cloak. 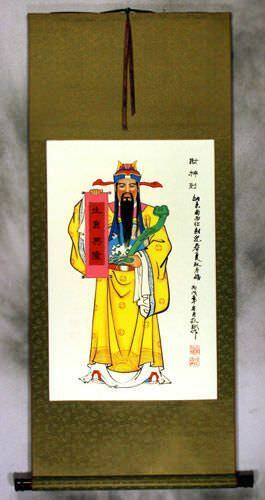 He symbolizes happiness and joy. 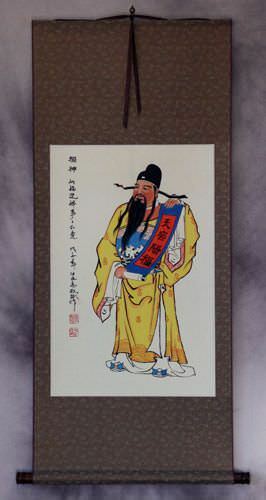 You will also see him titled as which means "Good Luck Star" or "Star of Happiness". 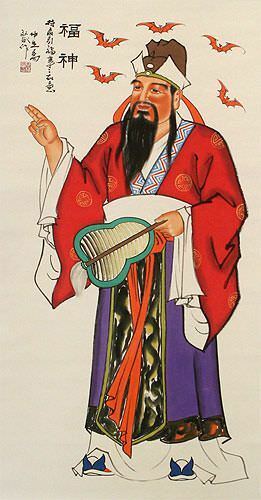 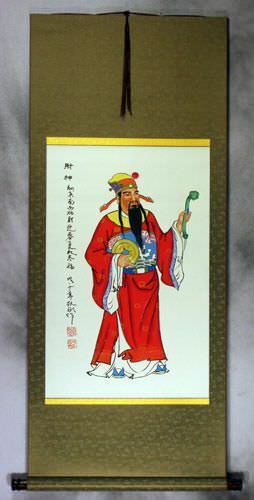 You may see images of this deity during Chinese New Years around the doors and in the homes of traditional Chinese people. 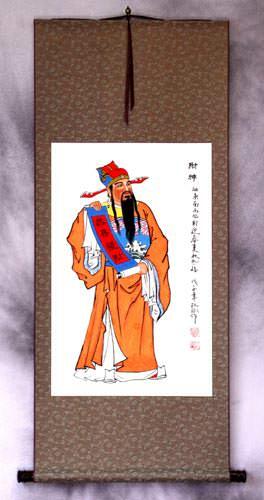 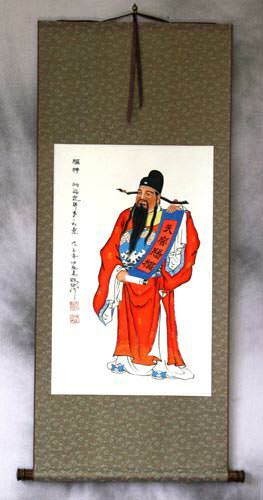 You can also display him on your wall with this artwork to bring good fortune to your home or business all year long.